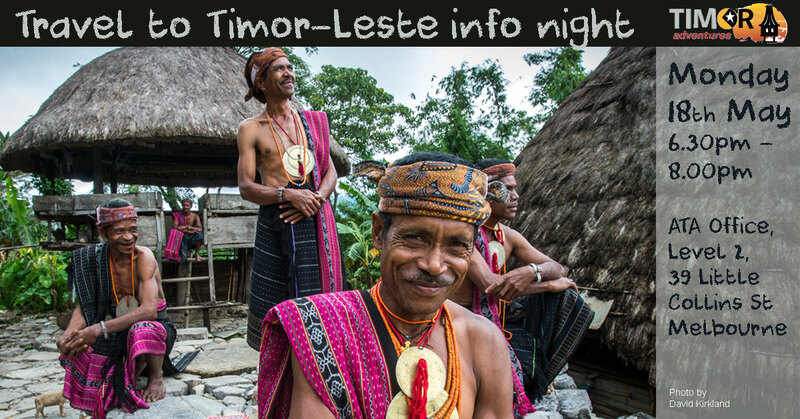 We will be talking about travelling in Timor-Leste, getting there, what there is to see, some of the tours we have been doing and tours we have planned. This will include the Light Up Timor-Leste Tours where we install solar panels in remote communities. There will be plenty of opportunities to ask questions and meet others who have travelled to Timor-Leste or are thinking about travelling there.